Spooky Action: Marketing "More Space"
The Business Pundit, Rob May, has written a post asking for advice on how to market the book More Space: Nine Antidotes to Complacency in Business. This would be a good time to discuss something about the book I've wanted to address for awhile. We've had problems getting the word out about MoreSpace, since we don't really have a marketing budget. The thought was that with all of our combined blog readership we would sell a few thousand books pretty easily, but I think we were less than 200 last count. So what can we do? 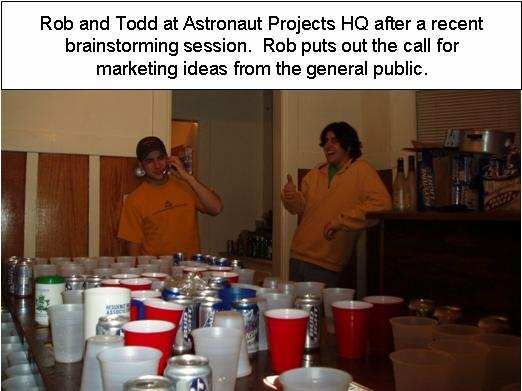 Seriously, if you have any good marketing ideas, the MoreSpace writers would love to hear them. I think in large part we were guilty of overvaluing the blogosphere, which is common these days. Blogs talk about things and we all get excited and bloggers are changing the world, and all the time middle America is asking what's a blog and why should they care. The only idea I have for selling more books is to put some cash behind a big marketing campaign, since that seems to be how books get sold. The funny thing is that 80% of the top selling business books probably don't belong there, but they were marketed well. Having absolutely no marketing training and having sold a grand total of three books (via the Amazon Associates program), I am nevertheless ready to help out the More Space team. But I'm still not sure what's in it for me (Sorry, Seth, I need a bit more than new and interesting)? What do the authors say? Let's try Amazon . Yes, there it is at number 10. We click on the link and get - the same blurb, only shorter. And not a single review! Doh! Back to this later, but for now let's see if we can find out more about the content SOMEWHERE. Let's trying googling "more space". At number 5 is - the 800 CEO Read page. Already read that. Nothing else on page one. The Amazon link is at the top of page two; also no help. 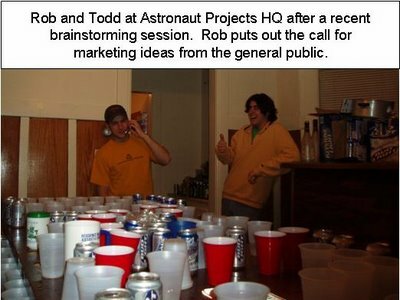 But down near the bottom of page two, just above the MySpace home page, is The More Space Project (Astronaut Projects). Golly bob howdy, Vern! We've hit paydirt!! They've got a blog, links to reviews, overviews of each essay with bios of each author, HTML and PDF versions of the essays, and mp3's, too! You can say that again, boys! There's an amazing amount of wonderful material on that site! And there are a lot of people who could benefit from it. So why haven't more copies sold? In the previous post, I discussed the importance of asking the right questions in the right way. The question here isn't why haven't more copies sold, it's how can the More Space folks sell More Books? I don't like hard questions, but I know one when I see it. I also know that answering hard questions usually leads to new opportunities. 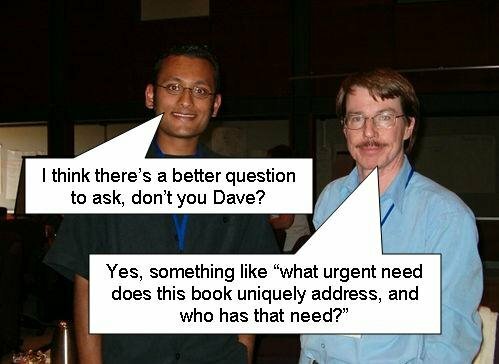 For an explanation of Dave's question, go here. I think Rob provides one possible answer to the question in his own contribution to the book, on page one no less. Do you agree? While you're thinking about it, I'm going to dive into more of the book's content. I'll be back with more ideas later. Please comment liberally, especially with marketing ideas of your own! I like it! I'll have to check into that MP3 problem you mentioned.